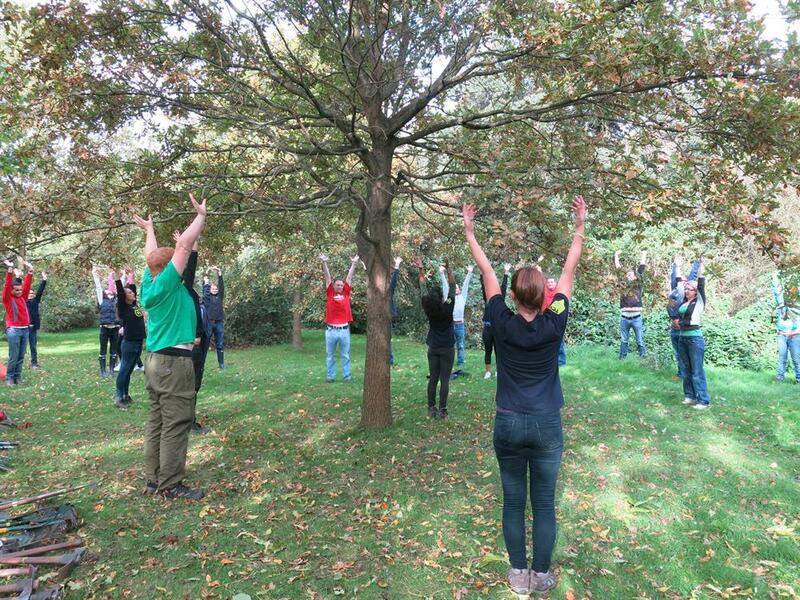 Imagine an outdoor exercise class where you’re not just working on your own health and fitness. 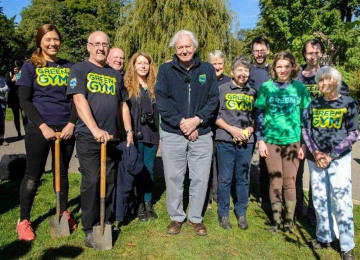 You’re also helping to create brand-new green spaces in your town or transforming the UK’s community parks and woodlands.That, in a nutshell, is a Green Gym! 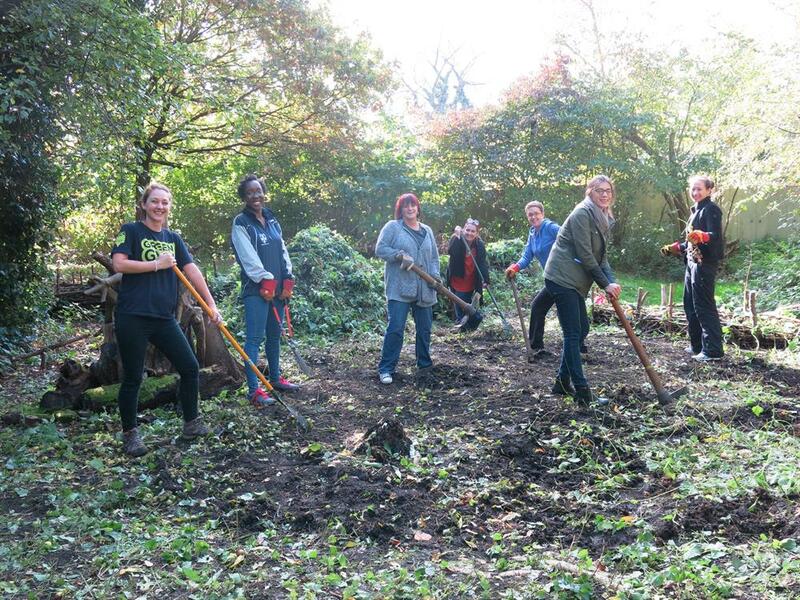 Lewisham Green Gym will deliver two sessions per week, one of which will be exclusively for young people. The other session will be open to all! Green Gym volunteers represent the whole spectrum of the local community – old, young, working, retired and unemployed. Some come because they want to get fitter. Some join in because their local health practitioners have referred them or because they’d like to improve their job prospects. 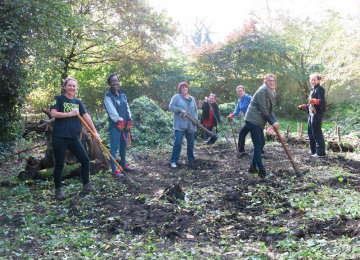 After a proper warm-up, volunteers will be guided in food growing activities and help restore local community allotments. Food grown on the site will be distributed to local charities and community groups to help provide healthy meals to those in need. 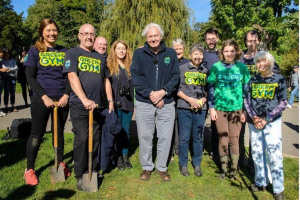 Green Gyms typically attract volunteers who want to improve the environment and access to nature and foster a sense of community. 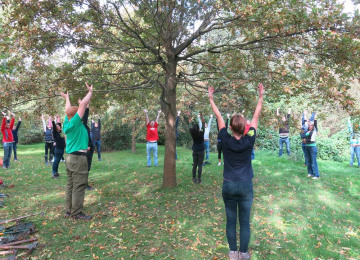 However volunteers find they gain much more than expected from participating and experience improved health, wellbeing and resilience. This uniquely enables TCV to engage and support people who do not typically access local services, and may be at risk or isolated. 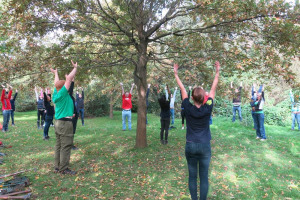 Whilst our activities vary, our inclusive approach has remained consistent; bringing people and places together to create happy, healthy and connected communities for everyone. Sir David Attenborough, TCV Vice President - speaking to TCV volunteers in 2016 said about our approach “Simply as a citizen, I want to thank TCV for how you have transformed the way in which I spend my urban life. You provide not only reasons but the ability to do things. You are an astonishing organisation." 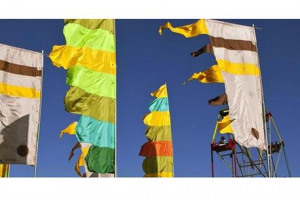 We recognise that each community and the people living there have different needs. 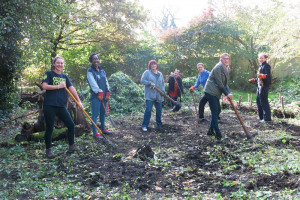 Whether improving wellbeing, conserving a well-loved outdoor space or bringing people together to promote social cohesion, combat loneliness or enhance employment prospects, TCV works together with communities to deliver practical solutions to the real life challenges they face. Project Delivery Manager: Katie Mabbutt The Project Delivery Manager takes legal responsibility for receiving and spending the funds raised and ensuring the project is delivered.